Security is the number one concern for U.S. travelers, according to Travelzoo, an online travel deals and booking site. As a result, a majority of travelers plan to vacation closer to home in 2017, according to Travelzoo’s Spring Travel Trends 2017. 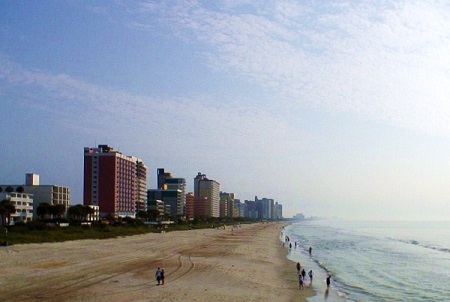 Popular intended destinations include beaches in Florida, Georgia and South Carolina. This new report from Travelzoo predicts that Americans will eschew international vacation destinations in favor of beaches in the U.S.
Security is the number one concern for U.S. travelers, according to Travelzoo, an online travel deals and booking site. As a result, a majority of travelers plan to vacation closer to home in 2017, according to Travelzoo’s Spring Travel Trends 2017. Sixty percent of respondents said they are likely to stay within the U.S. Most U.S. travelers plan to book their trip between January and April and take those vacations between May and July. Terrorism, anti-American sentiment, political unrest, crime and anxiety about personal safety topped the list of negatives affecting travel choices. Worries about Zika ranked lower than uneasiness about safety and security. A large number of respondents – 72 percent – said they would pay more for their vacation if that would result in increased security. · The 10 Best Hotels in the U.S.
U.S. beach destinations: Those planning a vacation rated a U.S. beach destination as high on their list, with many contemplating trips to Florida, Georgia and South Carolina. Canada: Canada ranked among the close-to-home destinations. Travelzoo predicts that Canada will continue to experience increased tourism. In 2016 interest by Americans and Germans in Canada nearly doubled, according to Travelzoo. For Canadians, Canada tied with the Caribbean as the top vacation spots in 2017. British Columbia rated as the most popular province, Ontario came in second and Alberta came in third. 25 percent of respondents planned to travel within Canada twice in 2017 and 29 percent said they would take four or more trips within Canada in 2017. For its Spring Travel Trends 2017 Survey, Travelzoo analyzed the responses of 1,068 consumers in the U.S. who responded to an online questionnaire distributed by research agency Toluna. Discover more Dentist's Money Digest Lifestyle coverage here.